Posted on Wednesday, January 12, 2011, by Eric - TV Geek Army "Revered Leader"
I was really excited to see the movie Get Him to the Greek as I’m an adoring fan of co-stars Russell Brand and Jonah Hill. As it turned out, I thought that while it had its moments and a few big laughs it was rather uneven overall (and I don’t think I’ve ever seen a movie involving more puking in my life, taking Stand By Me’s “barforama” sequence aside?). That said, Sean Combs AKA Puff Daddy AKA Diddy Dirty Money (or whatever he’s calling himself now) was an absolute laugh riot in a supporting role as an extremely eccentric music producer (perhaps he nailed it by playing it close to home?). During one scene, Diddy’s character had to get off the phone immediately as his family was excitedly calling him into the living room to watch The Biggest Loser, an obvious family event in his household. It was hilarious because of the weird juxtaposition of Diddy, even in character, rushing over to the TV with his kids to flip on a reality show about overweight people competing to lose the most pounds. If you’ll allow, let me take one additional aside before we get back to The Biggest Loser (and my apologies for the leisurely pace this story is taking to get the central point): I’m a huge fan of Diddy’s television work, particularly the Making the Band franchise and associated projects. He’s a master showman who knows how to create drama and comedy within a non-scripted setting, and when the casting is right (such as with Season Two’s Da Band), the results are magical. His experience in television – as well as earlier film roles such as the much underrated Made with Jon Favreau and Vince Vaughn – as… you guessed it, the extremely eccentric music producer (an exaggerated version of himself no doubt, but well honed) allowed him to later shine in Get Him to the Greek and I’m Still Here. Okay, now back to The Biggest Loser, I promise. The Get Him to the Greek scene planted the seed for me of what a deeply strange show The Biggest Loser is. Don’t get me wrong: I really enjoy the show. It typically hits the right notes of competition, conflict, comradeship, drama, and uplifting moments that are hallmarks of high quality family-friendly broadcast reality TV fare. And obviously the messaging to eat healthy and exercise is great and important for an often sedentary nation (and certainly something TV geeks need to guard against!). But it’s deeply weird too on several levels. First, the emphasis on losing the most amount of weight in an extremely compressed timeframe seems to be contrary to what any healthcare professional or nutritionist would tell you is the right way to lose weight and keep it off. They would rather advise eating healthy and exercising while losing a modest and consistent amount of weight over time, of course. So there’s that factor that we’re keeping in mind while watching obese people – especially in the early weeks – pushing themselves to insane places while exercising under the military-like authority of trainers Jillian Harper and Bob Michaels. The potential for contestants to seriously injure themselves if not flat out have a heart attack seems very real. And that dynamic plays into a sense that what we’re watching is exploitive under the guise of being uplifting (look at the fat people sweat! You could sweat too like this if you weren’t so lazy, not to mention deeply locked into the vortex of watching fat people sweat!). Then we get to the challenges. Many are fine, involving learning about how to eat better or, especially in later weeks, those highlighting how much weight the contestants have lost (such as hauling around weight equivalent to that which they have lost during the period of the show), but some… go to new levels of weird. You know what I’m talking about here. The contestants walk into a room filled with cupcakes and candy and cake and sweets (sometimes even tailored to the cast’s favorite desserts and snacks!). They have a choice: they may gorge themselves for the opportunity to gain some kind of advantage at an upcoming weigh-in, or they can choose to take the “high road” and opt out. Typically, many of the competitors opt out but there’s always a few that go for the gorge, and we are forced to watch the guilt, hope, joy, and fear wash over their faces as they tempt dark forces while trying to advance themselves in the game. I suppose that’s the point right there: messing with our health isn’t a game. 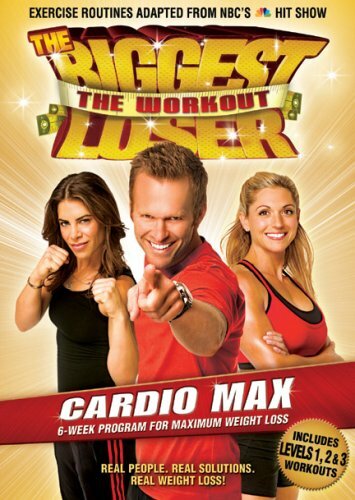 And while for the most part The Biggest Loser seems like a show that spreads positive messages and encourages people to live fitter and healthier lives, there’s an element to it that I find tremendously odd and not a little bit disturbing. Being a part of "Hypersonic Weight Loss" has put me back in touch with the fun-loving, exotic woman within. Glad it's working for you !